Well I have been waiting till I had some for sure numbers to give you till I posted. 100.... This is my 100th post Woo Hoo It would have to be the one with some interesting news! 14... That is how many eggs they harvested on Friday morning. I ended up with ALOT of pain but I asked for Anti-nausea before the surgery so the anesthesiologist gave it to me in my IV before I got anesthesia. I got some Demoral in recovery and ended up going home at noon when the surgery started at 9am. Not to bad. 9... That is the number of mature eggs out of the 14. 6... That is the number of embies growing. I wasn't sure if I would even get a phone call because of the snow but they did call and so now we hope and pray for them to keep growing. Please also pray for my new friend Jen and Chris as they have 2 embies out of 15 eggs harvested still growing. Tomorrow is their day 3 and they are putting it in God's hands to keep their little embryos growing. They are an awsome Army couple and they will make wonderful parents! 28... INCHES OF SNOW!!!! OMG we are in the heart of the Blizzard of 2010. I have seen alot of snow growing up in WI but it is the most I have seen as an adult. So now we wait till monday and we find out how our 6 are doing. Great numbers! (all but that last one, that is!) Prayers and warm thoughts to you as well as Jen/Chris! Such great numbers, except for the 28 inches of snow! Sending you big hugs! I love your post! 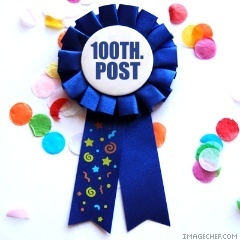 Congrats on the 100th post! Thanks you guys Jen and Chris's embies made it threw the weekend so she had them both implanted this morning!